Betcha didn't think I'd come back, did you! With our gorgeous, late summer weather, it was hard, but I'm here to show you my newest Supreme finish! As you know I test pattern directions for Stephanie over at Rummage. I am one of several of her "Supremes" who have a lot of fun doing this from time to time. Last POST I showed you all the pretty pieces for this quilt cut and ready to go. 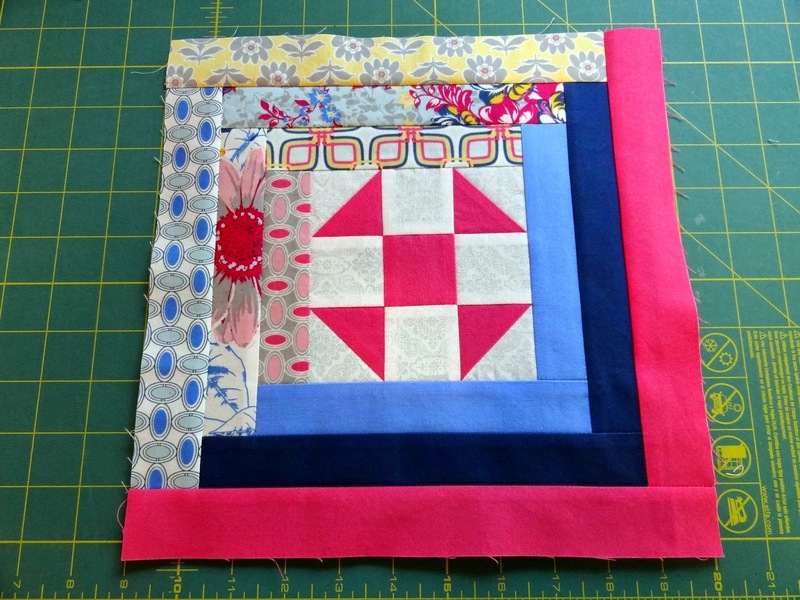 Here was the first block - a brightly colored log cabin with a shoofly in the middle! The fabric was gifted to me by a dear friend and has a wonderful vintage feel to it. Here is the completed quilt. Stephanie calls it Flies in the Cabin! 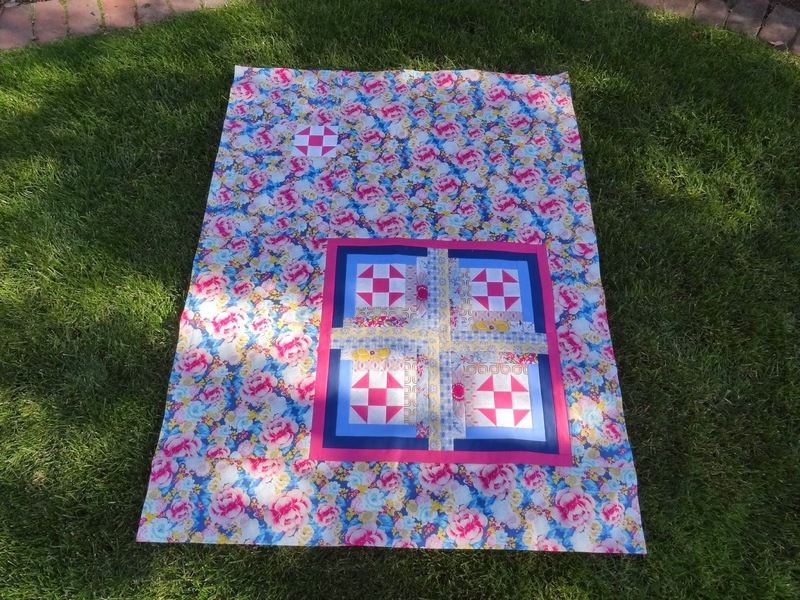 You can see her original quilt HERE - even brighter and oh, so pretty. There will be a pattern in the coming year, so do check back over on Rummage! When the pattern is available, Stephanie will have all the details. I haven't decided what to name mine, but I'm sure I'll come up with something clever. 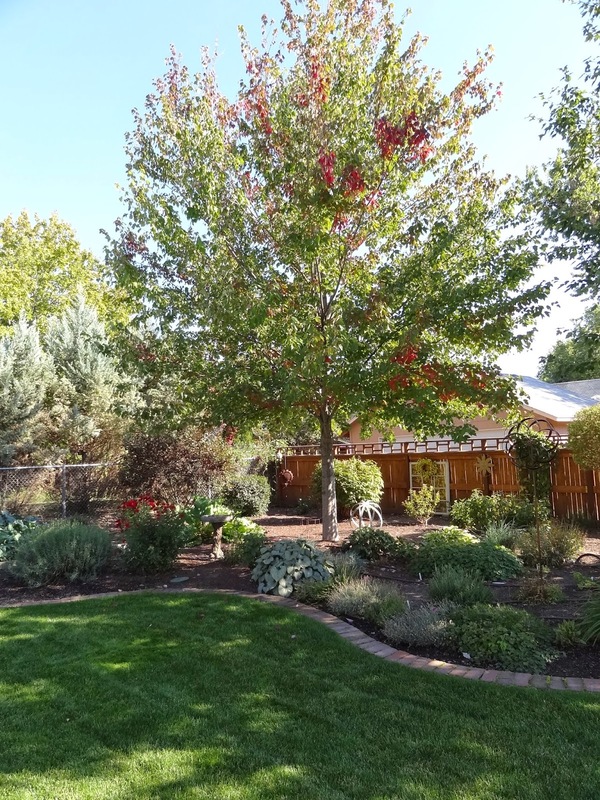 Here we are still in the late throes of summer, yet one of our maple trees has decided it's time to begin her transformation. They will both become a flaming red color in the next month or so. Me.....well, I love our warm days and cool nights and will be very sad to see them go. I must admit, though, I've worn out my summer shorts and tops and am ready for sweatshirts and jeans. My blogging has been pretty sporadic the past year or so, but know that I'm not going away. You can occasionally find me on Instagram these days as "mrssquash", but that will never replace Squash House Quilts. There are just times when I don't have a lot to say, but that can't last for too long! Just wanted you to know I have not fallen off the face of the planet! Working on a new project. 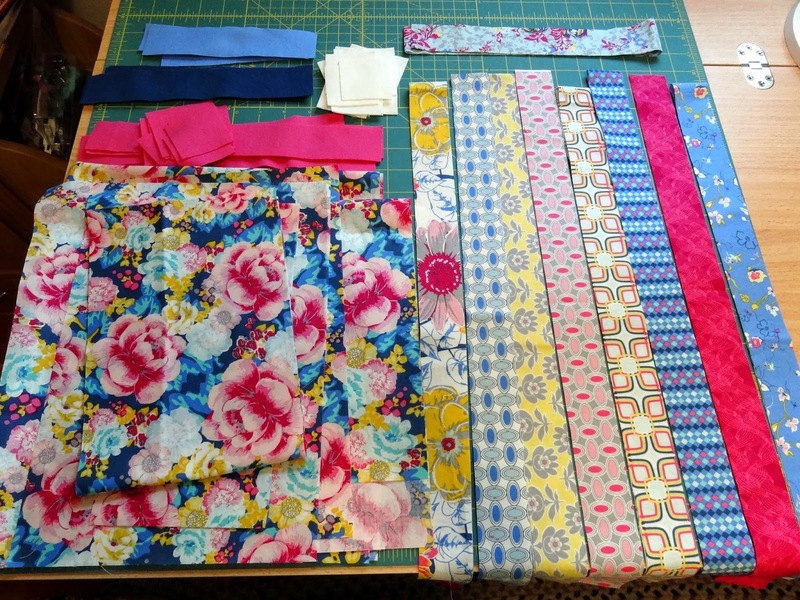 Check out these pretty pieces all cut and ready to sew. I'll be back with updates!